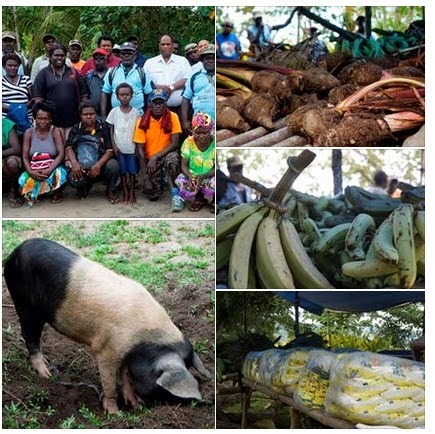 Papua New Guinea flag carrier Air Niugini has fulfilled its cultural obligation with landowners from Kieta, Bougainville last weekend when it exchanged two pigs with store and garden foods as a token of appreciation to the landowners for allowing the airline to have one of its aircraft christened –Kieta. 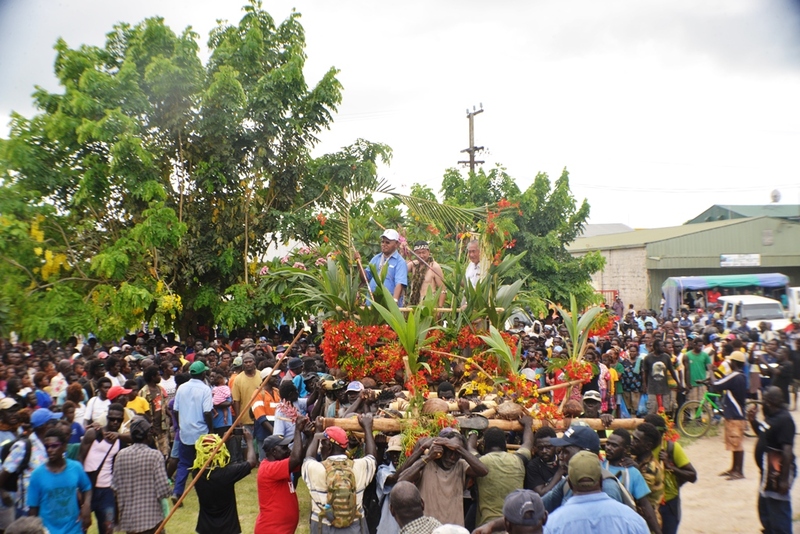 The cultural ceremony took place at Toborol village in Kieta and was attended by representatives from six major landowner groups- Barapang, Kurabang, Batuang, Baiang, Mantaa and Bakoringku whose land on which Aropa airport was built. 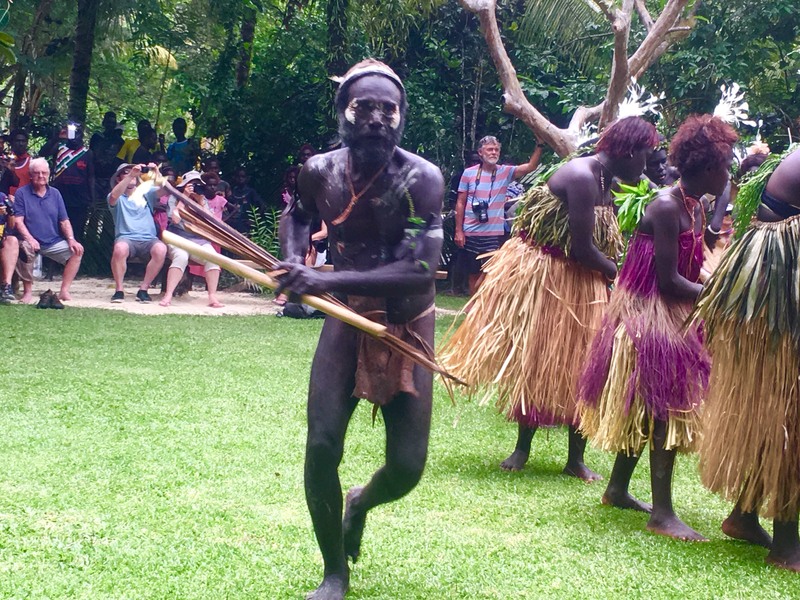 On behalf of Air Niugini, the airline’s General Manager- Customers and Markets, Dominic Kaumu attended the ceremony and presented the pigs and food items to the landowners. 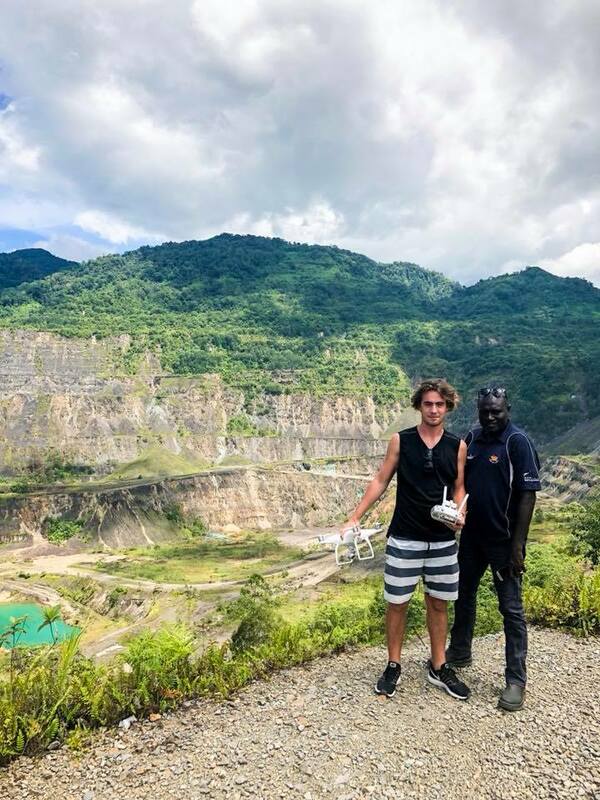 Mr Kaumu said traditional obligations are an important part of our society and Air Niugini as the national airline was grateful to be able to fulfill its commitment with the landowners. 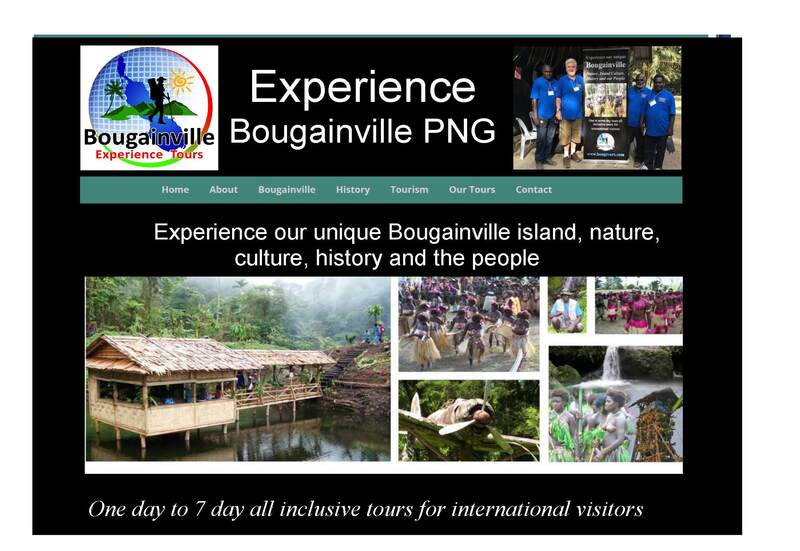 “ Air Niugini is supporting the government’s initiative to bring back the airline service to this part of Bougainville after 25 years and we are grateful for the fact that you have allowed us not only to resume services but also name one of our aircraft after your airport, Kieta.” Mr Kaumu said. 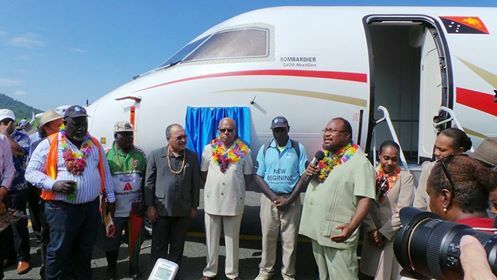 He added that such a ceremony further strengthens the partnership and co-operation between Air Niugini and the local communities to ensure that the airline services which have just resumed must continue. 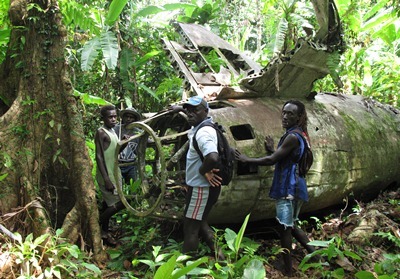 “ As you all know, we have just resumed airline services here and we need support from everyone, landowners, communities and the government here to ensure these services continue for the benefit of our people in South and Central Bougainville” Kaumu said. 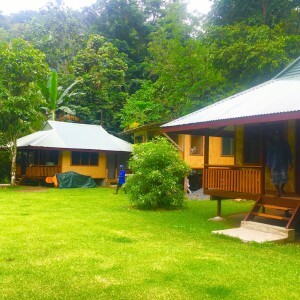 A Spokesperson representing the six landowner groups, Gabriel Sala acknowledged Air Niugini for fulfilling its traditional obligation and assured the airline of the landowners’ support. 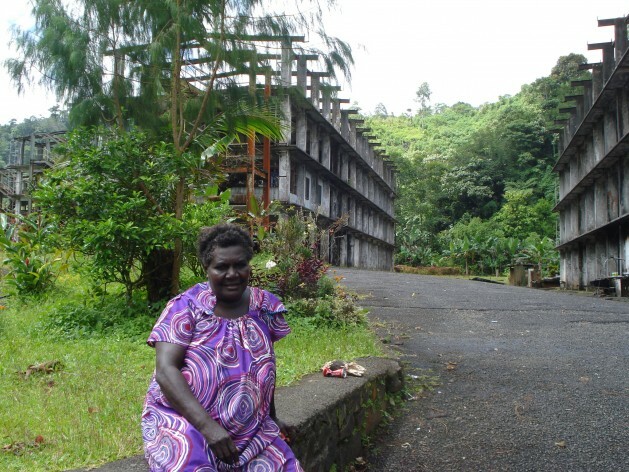 Similar sentiments were echoed by Chief of Pateking clan-Elijah Tavau and Woman leader, Bernadine Naviung. 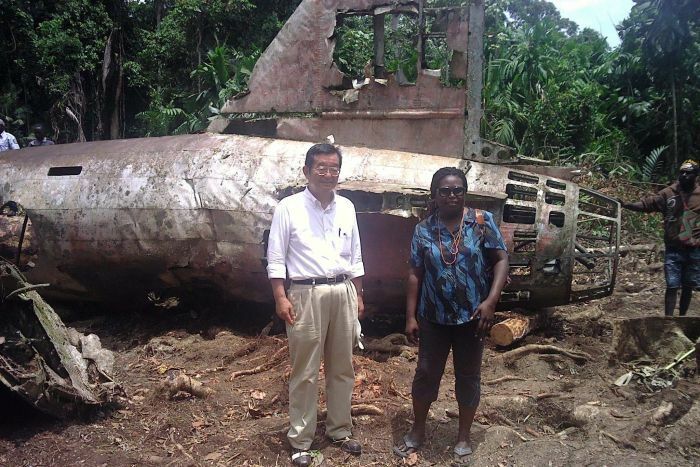 Mrs Naviung whilst assuring the airline of their support, she also appealed for participation and employment of landowners especially women and youths for spin off activities at the airport area. 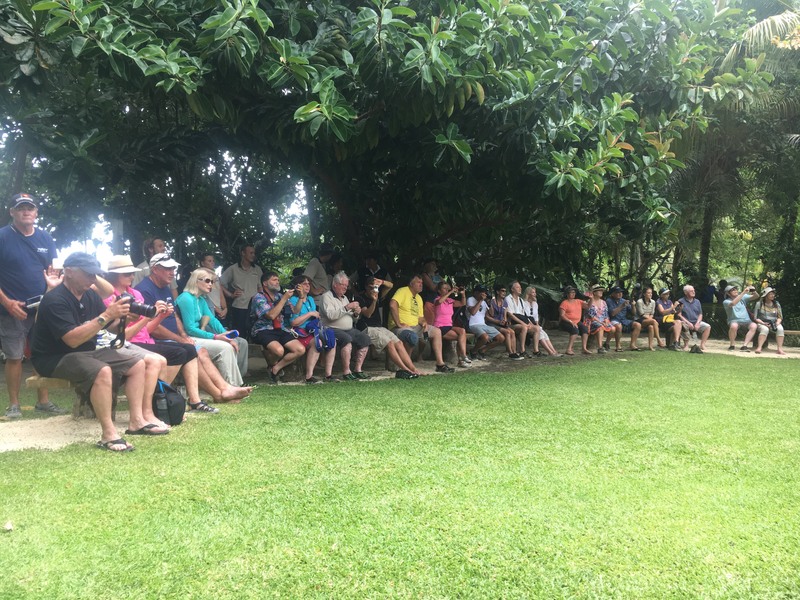 Landowner representatives from the six major landowners received the two pigs and other foods which they later distributed to their sub-clans. 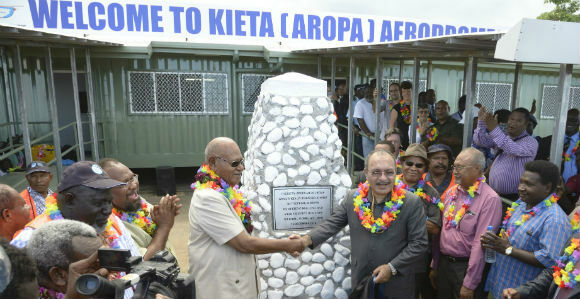 Air Niugini’s Q400 aircraft, Papa Xray was christened Kieta following its maiden flight to Kieta, carrying Prime Minister, Peter O’Neill and his delegation for Aropa airport opening on 12th December last year. 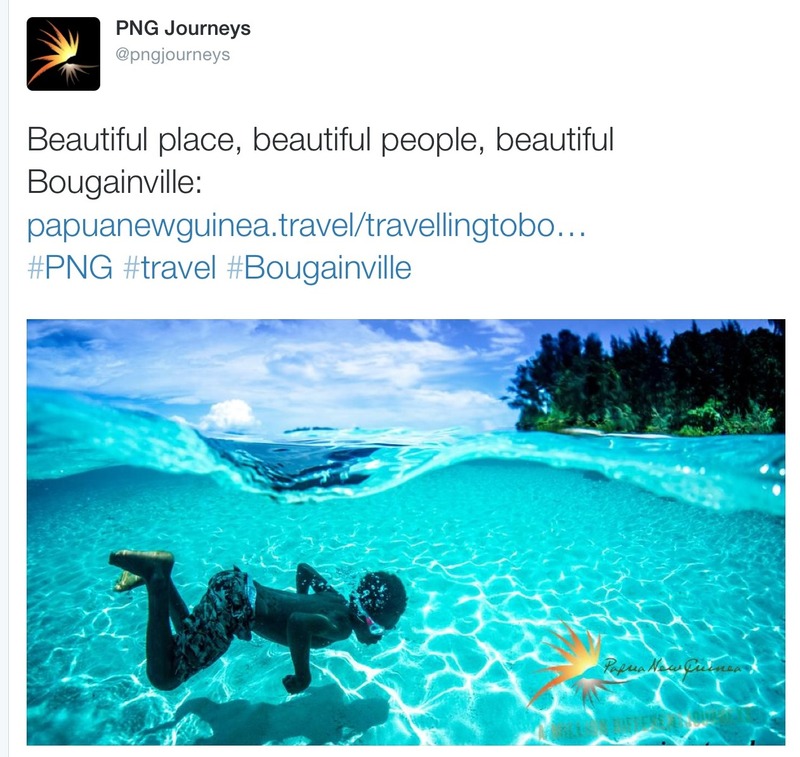 Air Niugini resumed services to Aropa airport after 25 years. 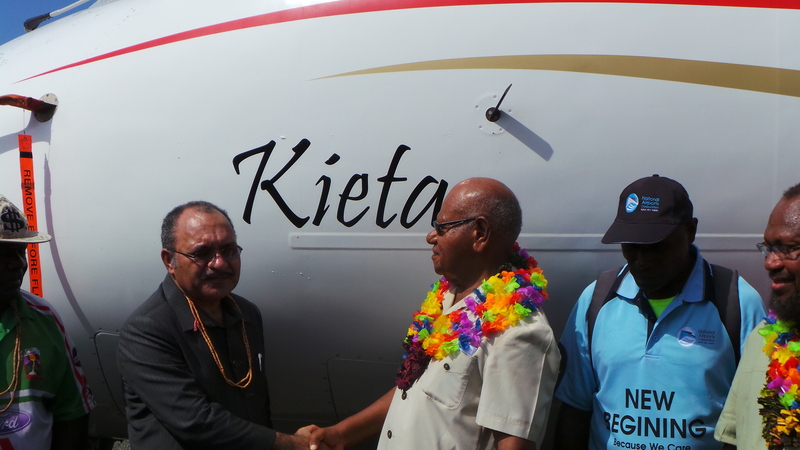 The airline operates three weekly flights to Kieta every Tuesday, Thursday and Saturday. 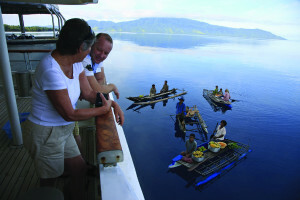 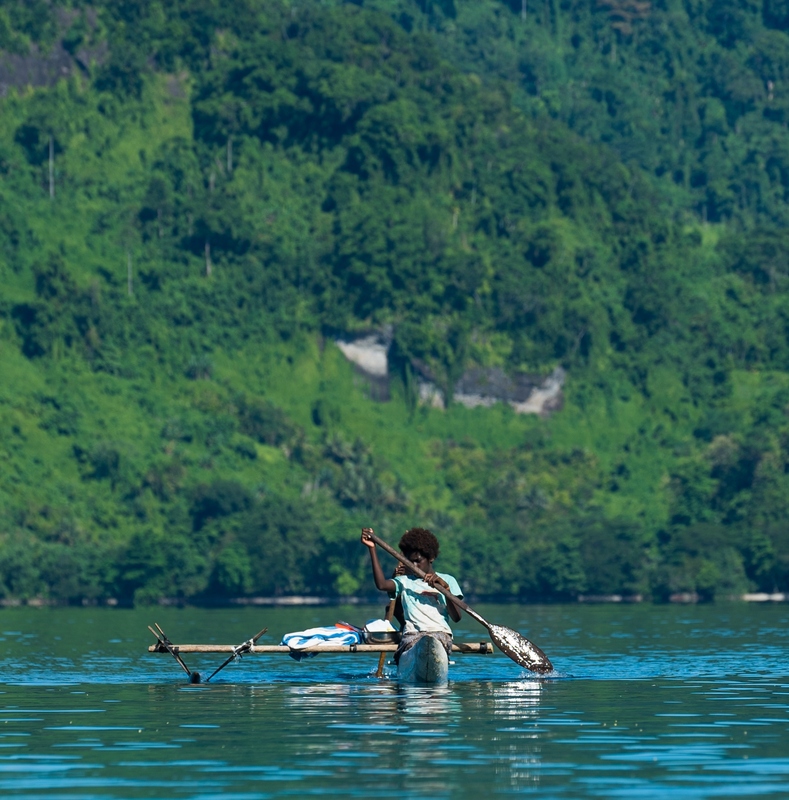 The direct Port Moresby/Kieta flight is on Tuesday whilst the Thursday flight goes via Rabaul. 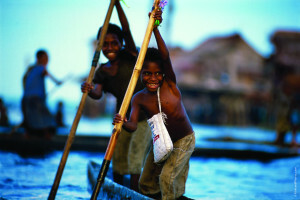 The flight on Saturday goes from Port Moresby to Rabaul then Kieta, Rabaul and back to Port Moresby. 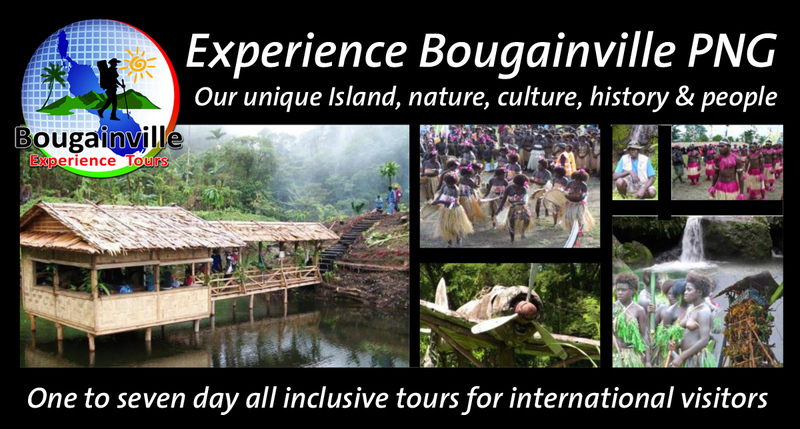 Meanwhile, Air Niugini services to Buka are continuing with daily flights, except Sunday. 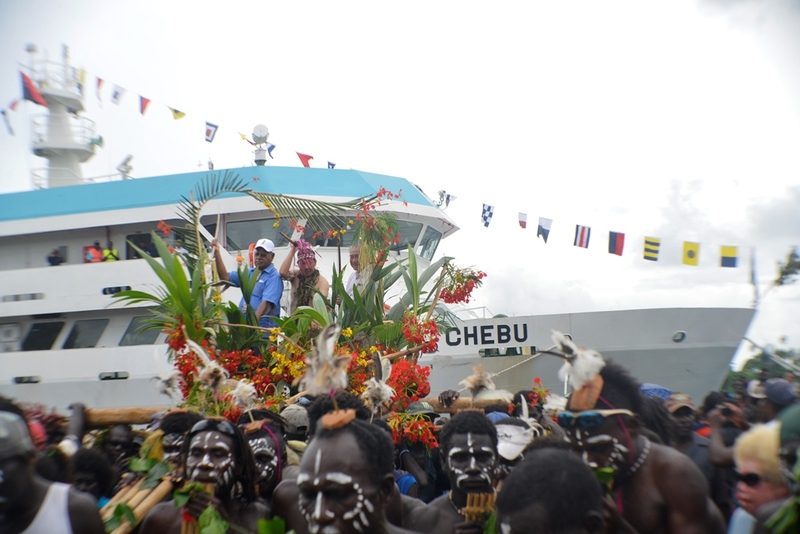 Buka Town came to a standstill as the people of the Autonomous Region of Bougainville gave the MV Chebu a rousing welcome amidst much fanfare and celebration as the vessel steamed into Buka Wharf on Tuesday. 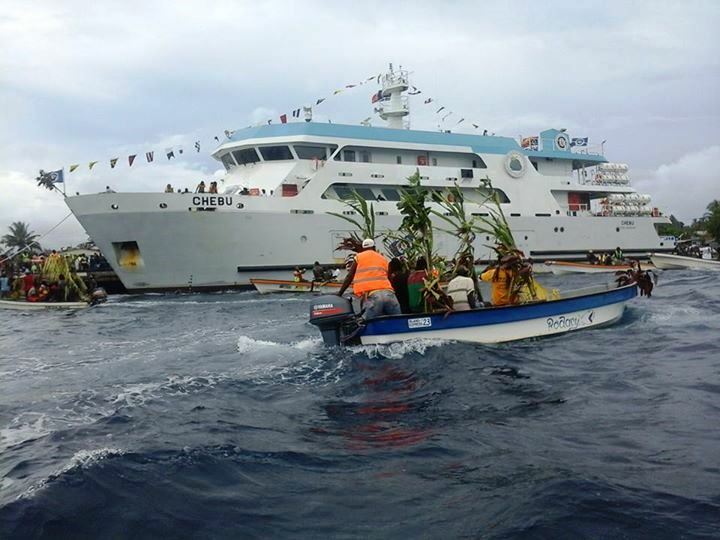 Bougainvilleans braved the sweltering heat of the humid day which eventually turned into a tumultuous storm to bear witness to a historic event, the arrival of a vessel suitably defined to cater for their maritime needs. 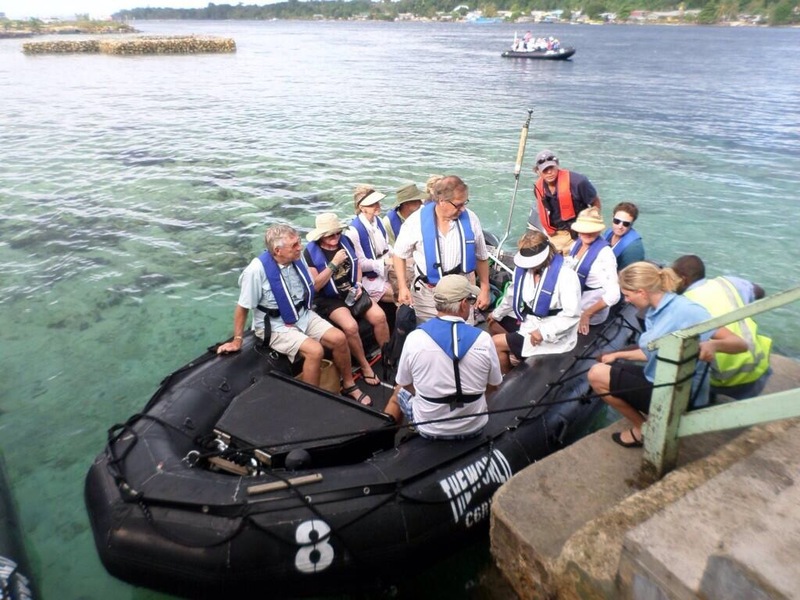 It was also a an emotionally charged affair for those who remembered the ill-fated Rabual Queen which sank off the Morobean Coast on the 2nd of February 2012 and resulted in the loss of over two hundred Bougainvillean lives along with many Papua New Guineans. 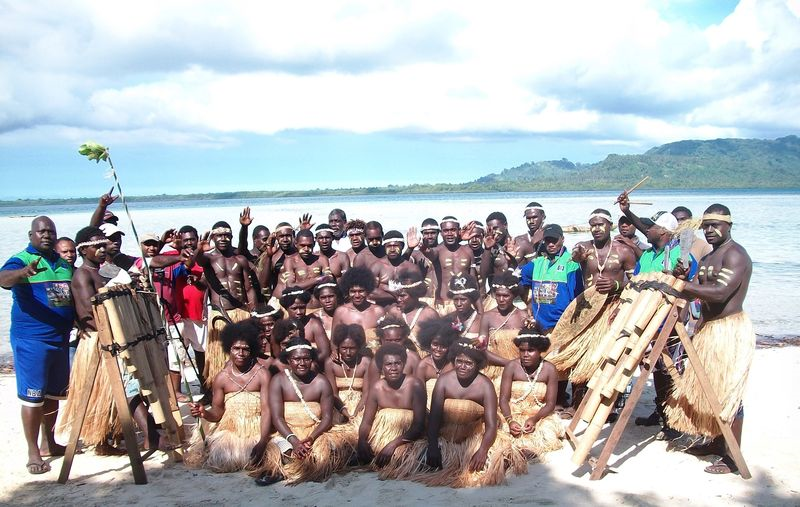 But the many who flocked to the wharf to welcome MV Chebu into Bougainville shores shared a feeling of hope and optimism to see the evidence of Bougainville’s rise from the ashes and its journey into progress and development after suffering from the bloodiest conflict in the South Pacific second only to World War II. 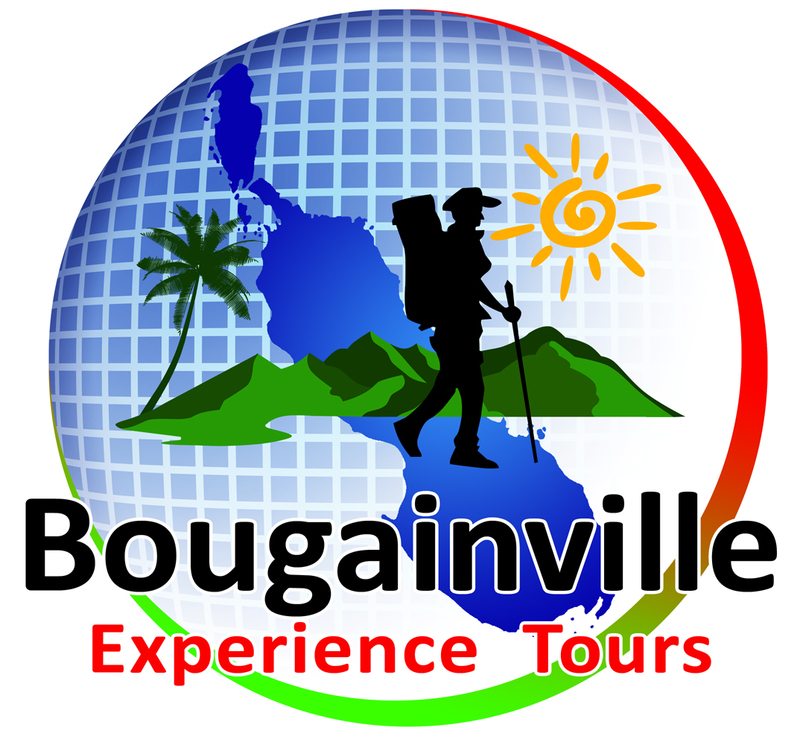 It was a time when Bougainvilleans with a mutual feeling of heartiness and pride took ownership of a new development and feverishly swarmed into the wharf to take a look at the new vessel. 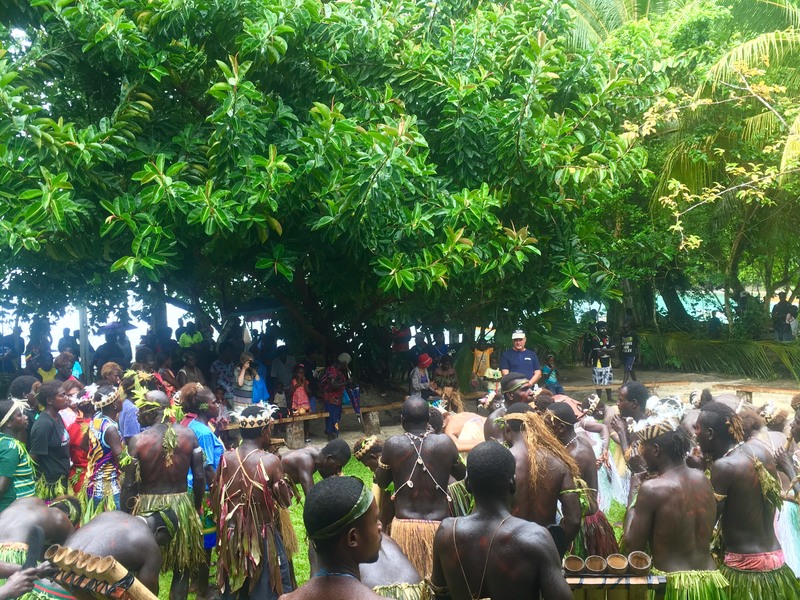 On hand to welcome the MV Chebu’s maiden voyage into Bougainville were leaders from the Autonomous Bougainville Government including President Chief Dr John Momis and several of the members and ministers of the Bougainville House of Representatives and senior bureaucrats with chiefs from the clans in the North Bougainville area. 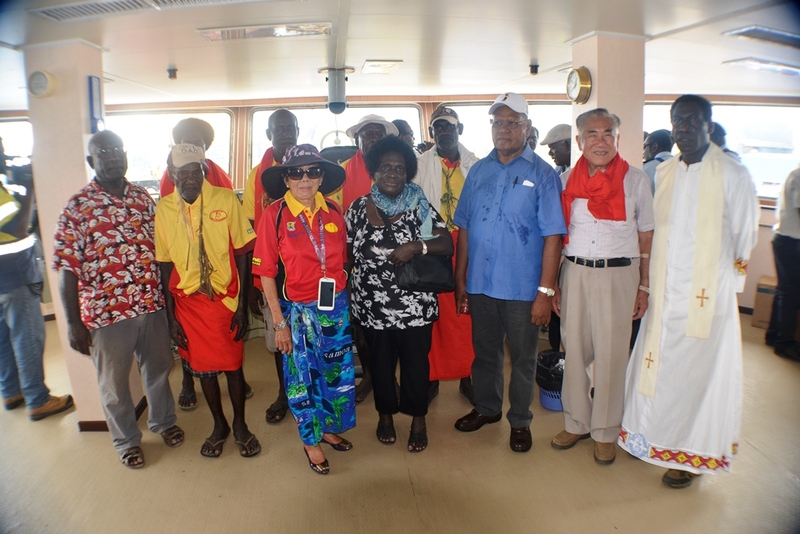 Local PNG businessman and philanthropist Sir Henry Chow who is involved with the ABG in the joint venture that has seen the formation of the Chebu Shipping Company, was also present to witness the event. 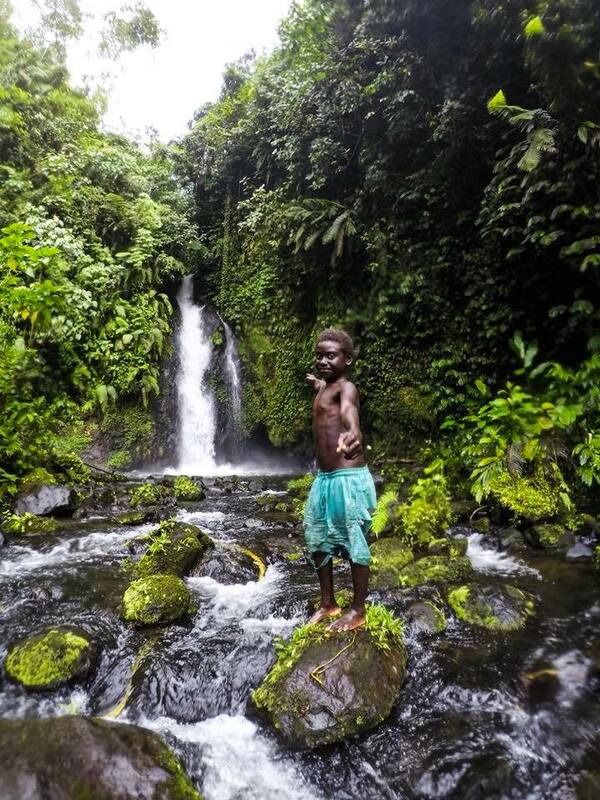 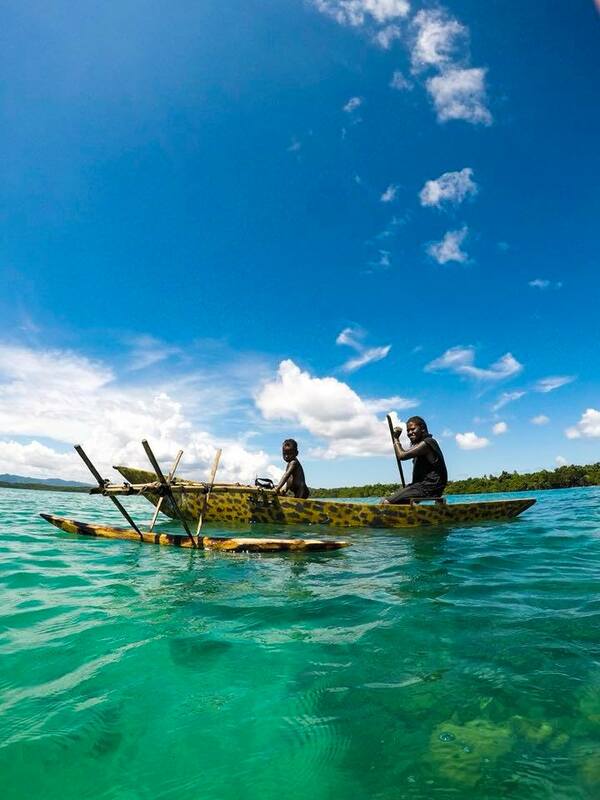 Sir Henry and his son Fabian were initiated into Nakas and Amara clans respectively as chieftains of these clans as a sign of respect and gratitude by the people of Bougainville. 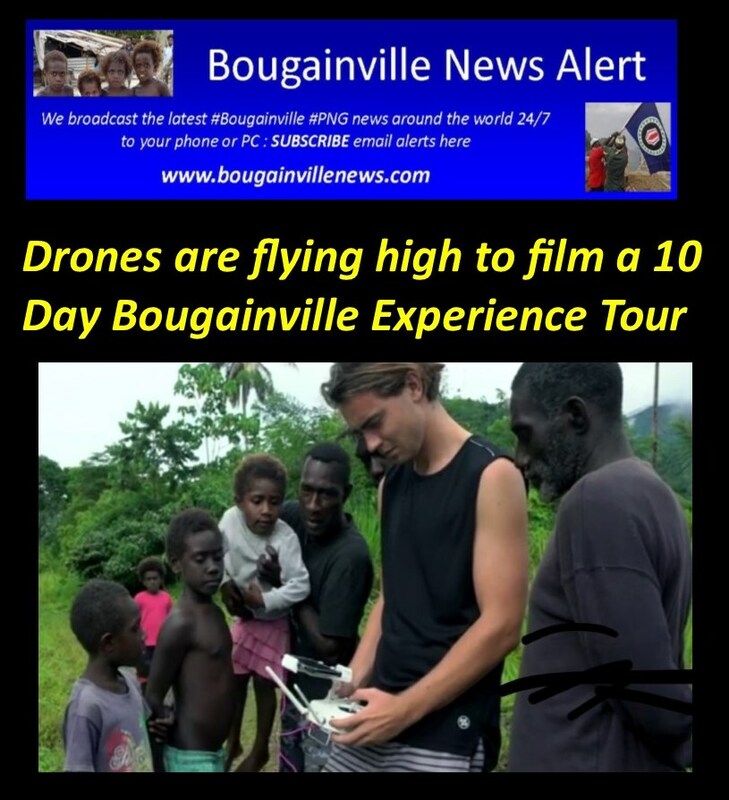 An emotional Sir Henry said he was happy and proud to see the support Bougainvilleans have shown in welcoming MV Chebu into Bougainville and him and his son the honor to being initiated as chiefs. 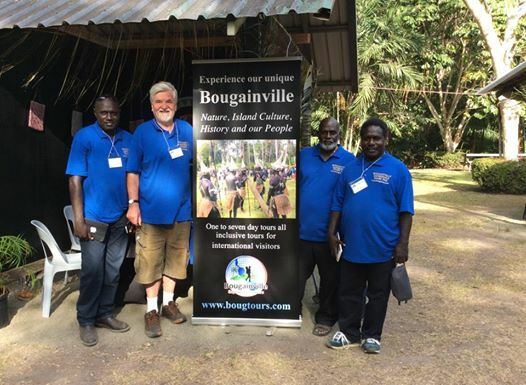 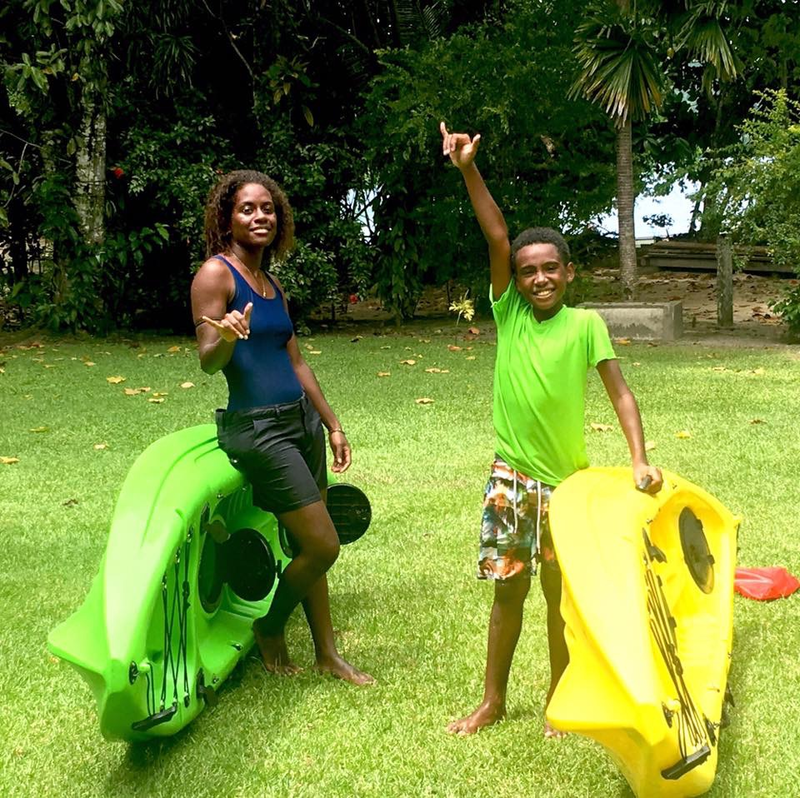 “Bougainville has always been a significant place in my family’s history, and I am certainly not new to place,” said the knight. 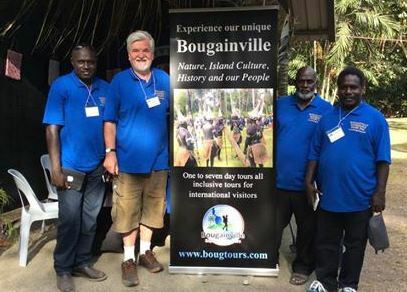 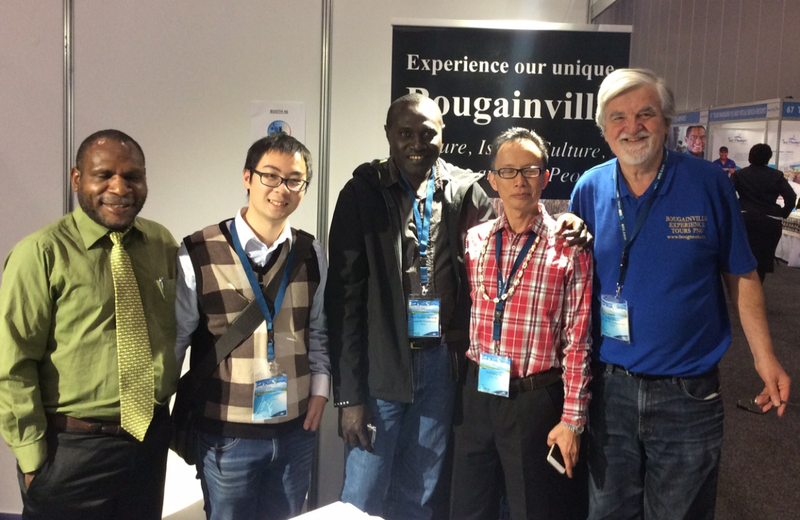 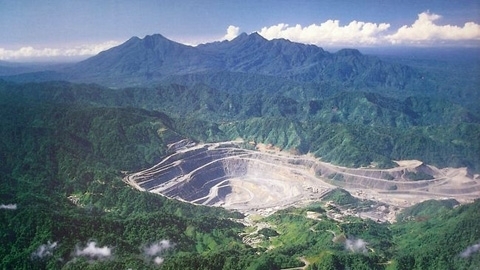 The Chow family has had a long history with Bougainville spanning three quarters of a century with members of Sir Henry’s family owning property and businesses in Bougainville. 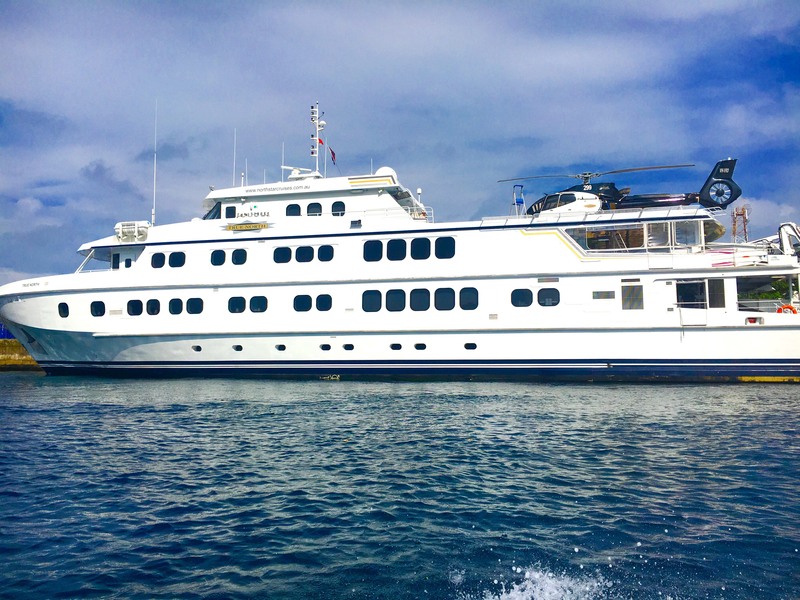 Just prior to the Bougainville Crises the Chow Family had numerous vessels operating in Bougainville, losing one as a result of the conflict. 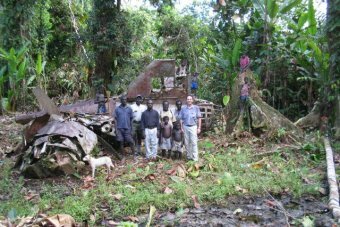 Despite the losses suffered by the Chow Family during the Crises they continued to help in whatever way they could over the years. 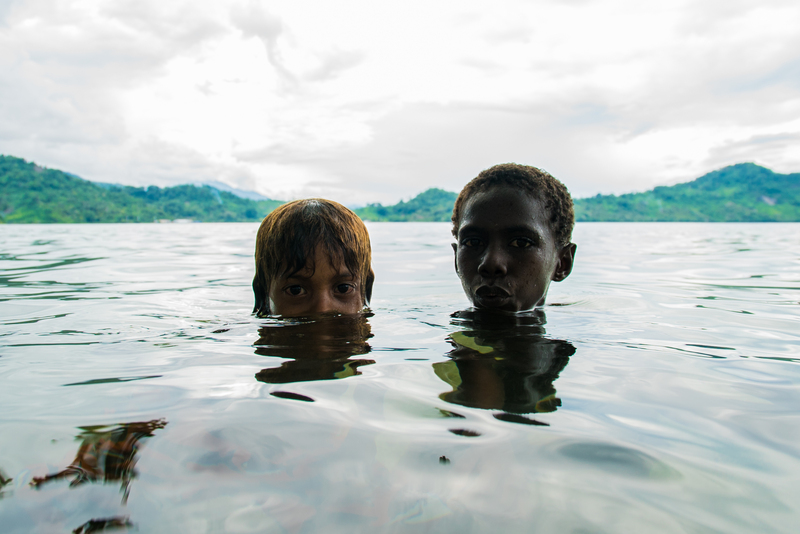 Their help would continue on till the ill-fated Rabaul Queen disaster that cost more than 300 hundred lives, most of whom were students travelling back to their respective schools to begin the academic year. 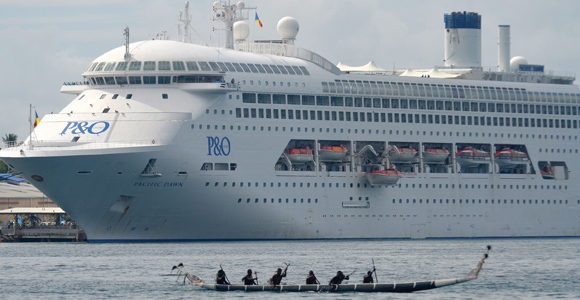 Sir Henry said the idea to enter into a joint venture with the ABG and the Chow Family business arm Hakau Investments came about after the Rabaul Queen disaster in early 2012 when ABG President Chief Dr John Momis discussed the need for safe and efficient vessels to provide for the people along the New Guinea Islands maritime route. 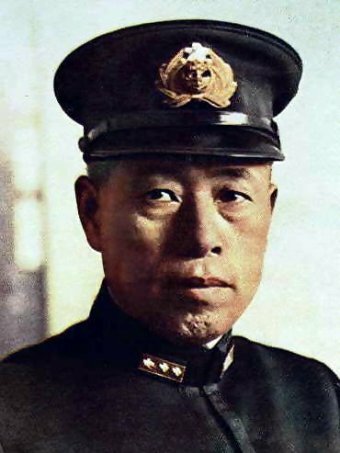 During the disaster Sir Henry Chow was the first respondent to help the ABG organize food, shelter as well as providing funds for the survivors. 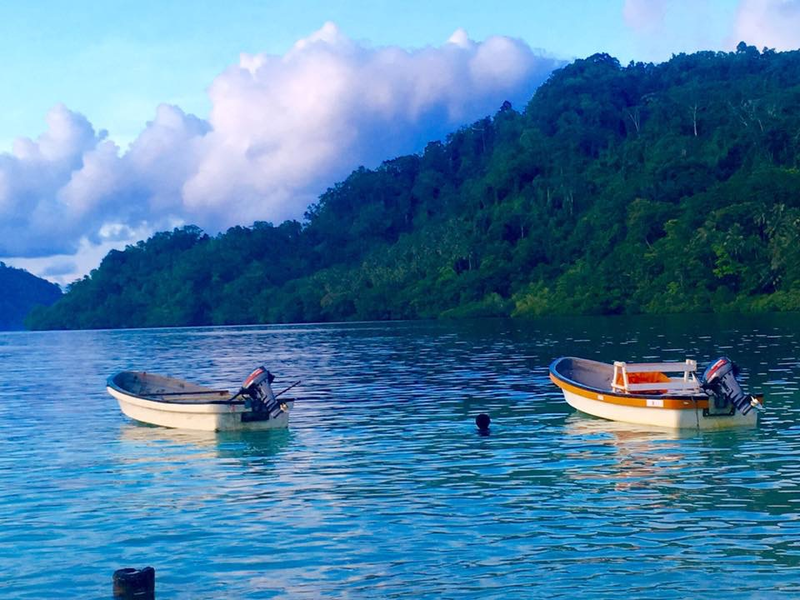 It was also during the disaster that initial discussions over the joint venture started and blossomed over the next three years and saw the creation of the Chebu Shipping Company which will now manage the joint venture between the ABG and Hakau Investment. 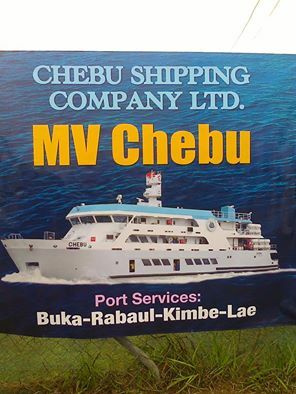 Over the next three years the vessel’s design was done be according to specifications that would meet the maritime needs of the New Guinea Islands and for two years MV Chebu was being constructed at the Shunhai Ship Building Company Shipyard in China. 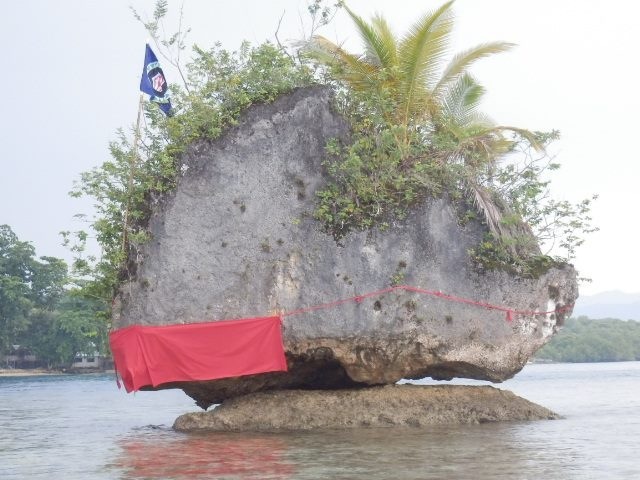 The vessel has been christened MV Chebu in homage to the iconic Chebu stone near Sohano Island and old folklore suggest it was responsible for creating the Buka Passage. 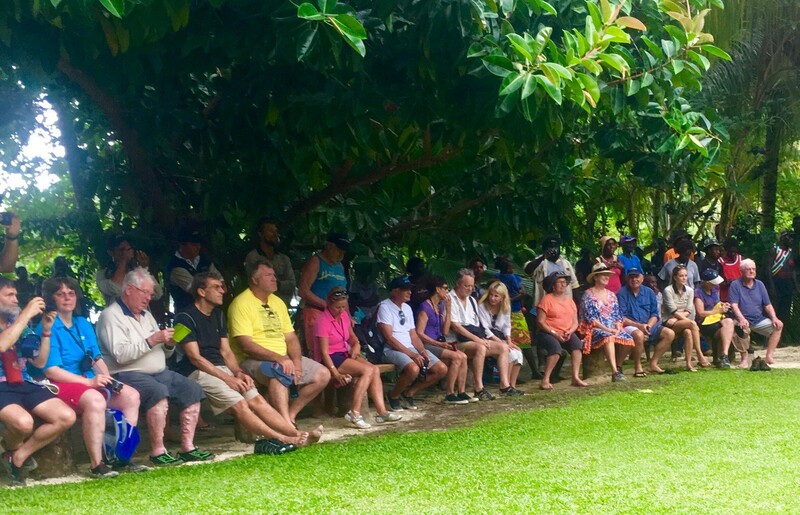 ABG President Chief Dr John Momis Paid tribute to those who worked hard to seeing the joint venture a reality and he especially thanked the Chow Family for their willingness to invest in Bougainville. 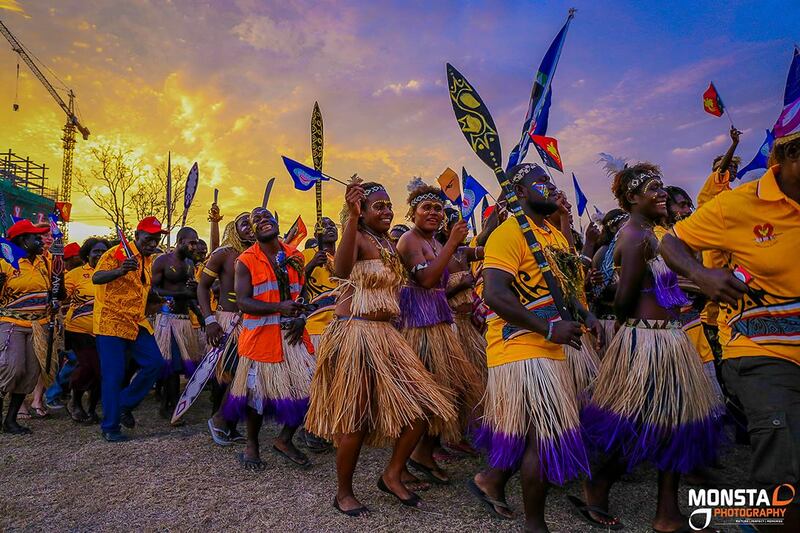 “Our unity is what makes us strong and this same spirit can makes us realize our aspirations and reach our ultimate destination,” the President said. 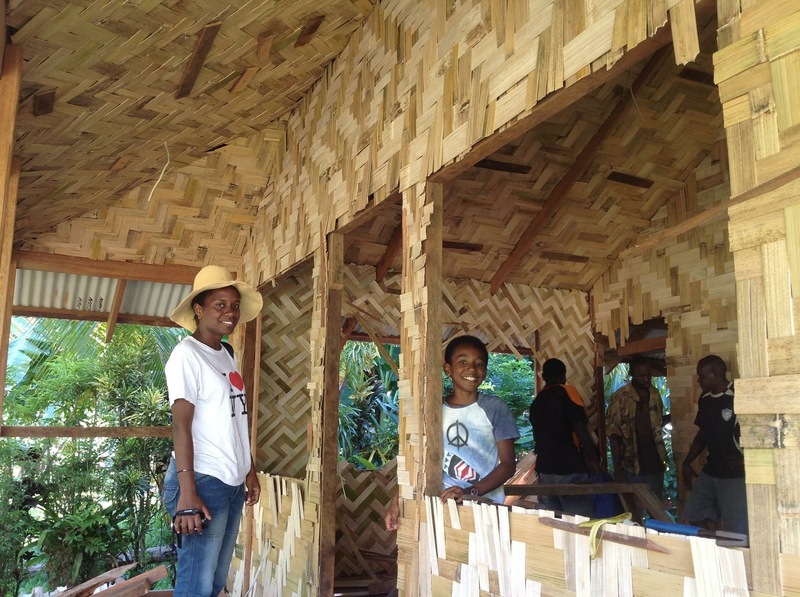 “So I believe that if we can work together and address the issue of self-determination in the same manner we will achieve that which we so crave,” he said. 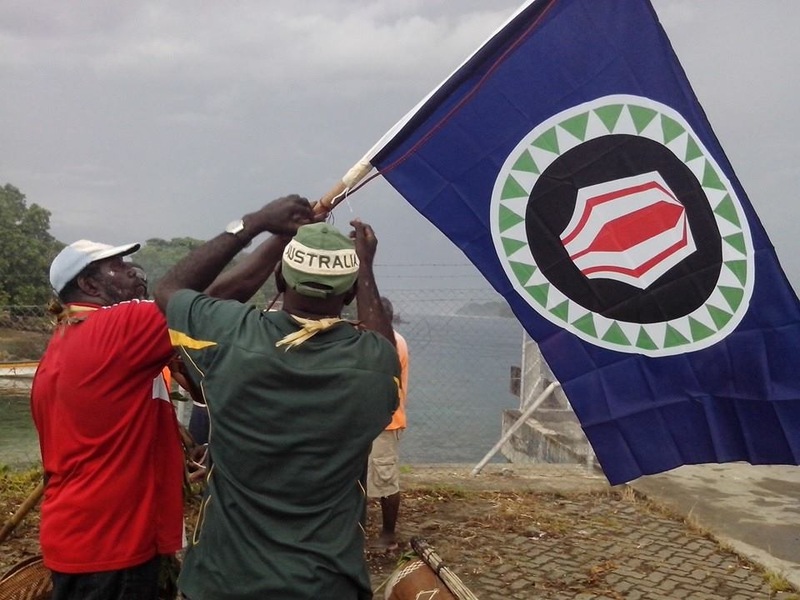 “Self-determination is rejecting, corruption, self-determination is rejecting violence and the negative aspects of life that cause disunity and instability,” President Momis. 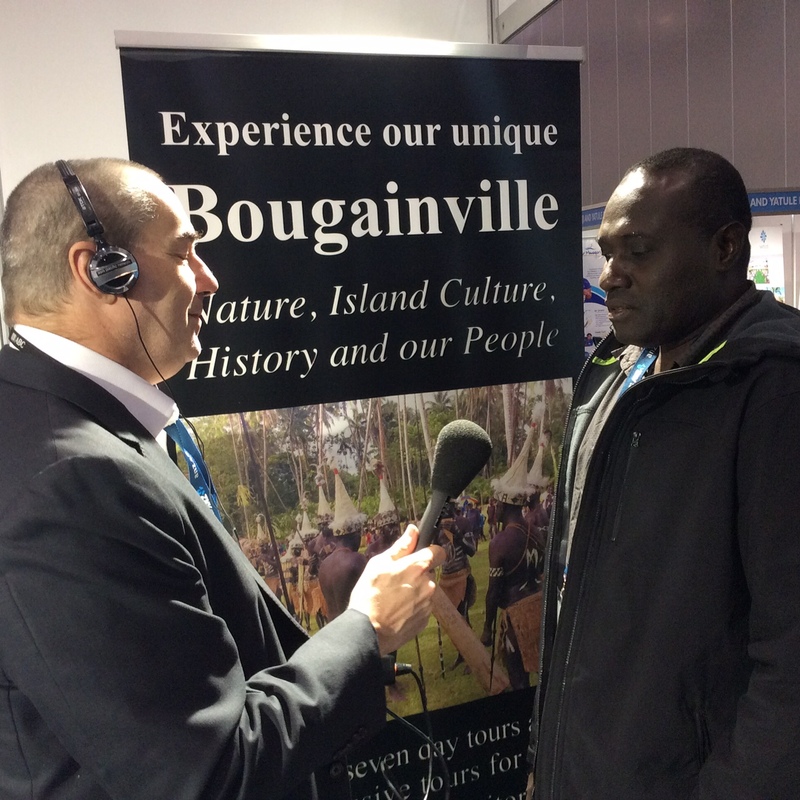 The President’s remarks urged Bougainvilleans to use their intellect and will to work in union to enable Bougainville to realize its political self-determination. 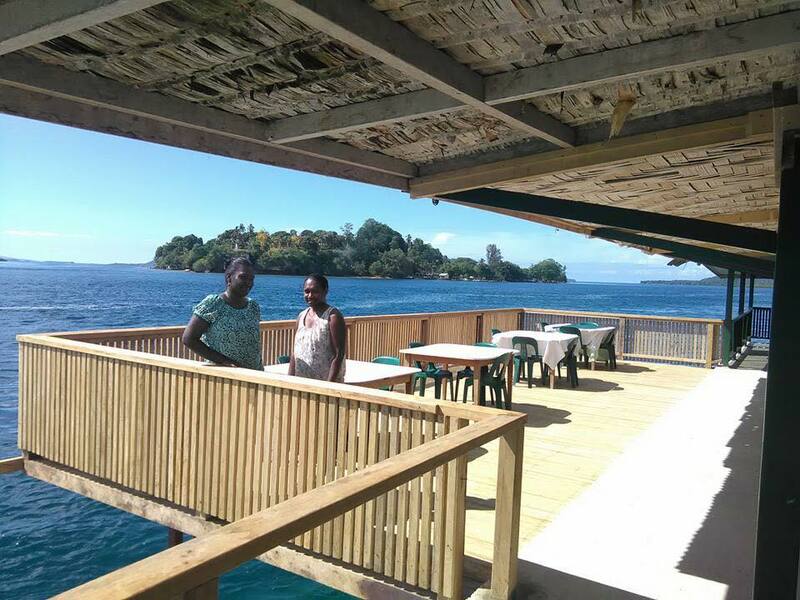 The President expressed his gratitude to the Chow family for their endeavoring efforts in seeing the vessel through its completion a month and for having the faith to reinvest in Bougainville after the Bougainville Crises. 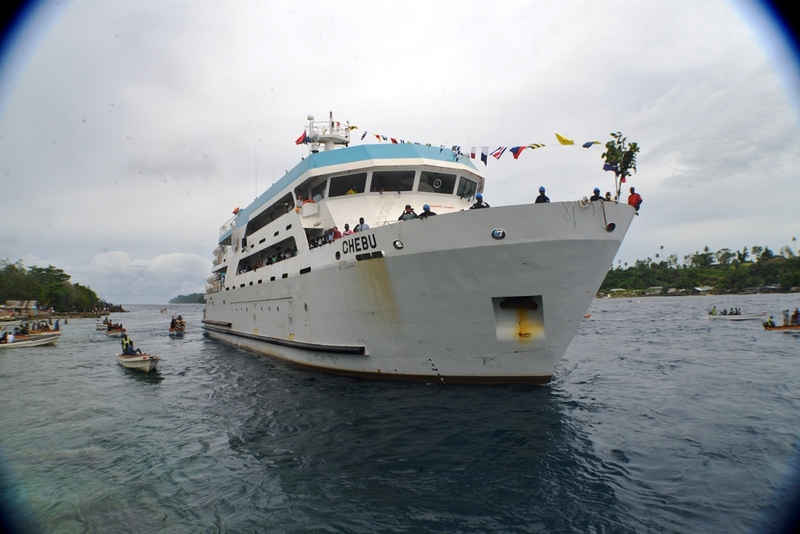 MV Chebu left Bougainville on its first commercial run taking Team Bougainville athletes to Lae for the PNG Games on Wednesday 12th November 2014. 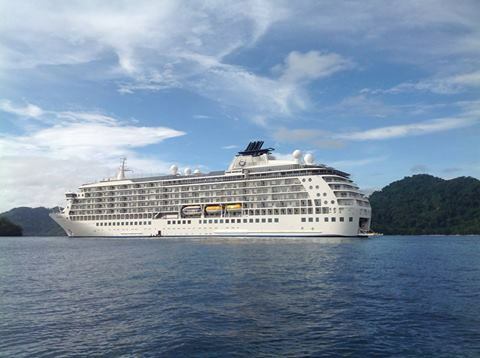 The vessel has a total capacity of 370 passengers that includes 22 passengers, a top speed of 12 knots and a gross tonnage of 1152 tonnes.